You can install Open Cart easily by using Softaculous in your cPanel Software / Services. This article will teach you how to install Open Cart through Softaculous. You can then login to your Administrative Dashboard, and begin designing your site. Navigate to the Software/Services section and click the icon that says Softaculous. On the main "Top Applications" screen you should see Open Carts logo in one of the boxes. 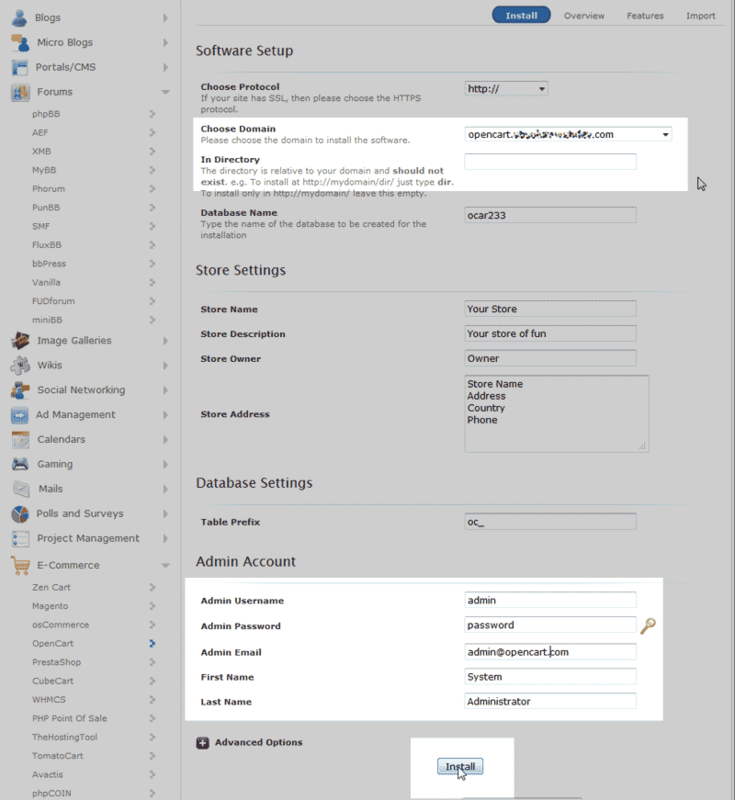 Fill in the following information in the Software Setup and Admin Account Sections. Choose Domain: Select the domain you want to install Open Cart on. In Directory: Leave this blank to install Open Cart in the document root directory of the domain you selected. Enter a folder name if you want your Open Cart installed in a subfolder. Admin Username: This is the username you will use to log into your Administrator Dashboard for your Open Cart. Admin Password: The Open Cart Administrators password. Admin Email: This needs to be a valid email address. Make sure you fill this out Softaculous will automatically create a filler email that is not valid. First Name / Last Name: This is a different name than the Open Cart Administrators login. Wait for Softaculous to install the software. When the installer is done you will see the Congratulations screen stating you successfully installed Open Cart. 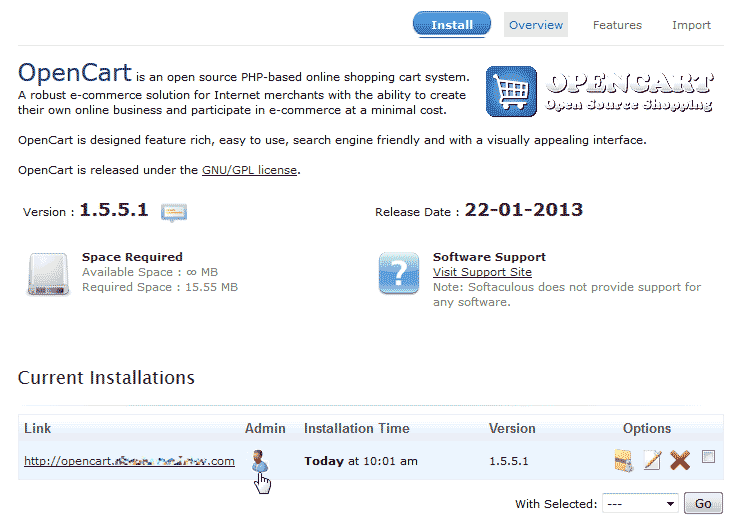 You will now see the new Open Cart installation listed in the "Current Installations". You can click the link or the admin icon to go either to your home page of your Open Cart site or to the administrators login. When visiting your Open Cart site you will see a brand new web site like the snapshot to the right. 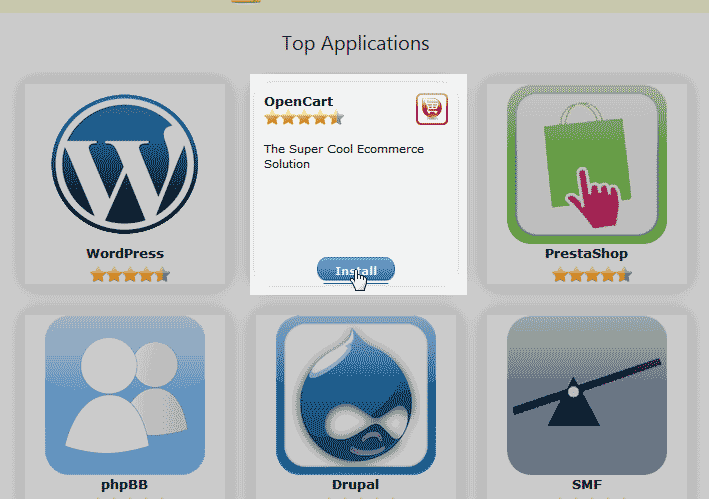 Congratulations, now you know how to install OpenCart with Softaculous! Next you will want to login to your Admin Dashboard, and begin building your website. 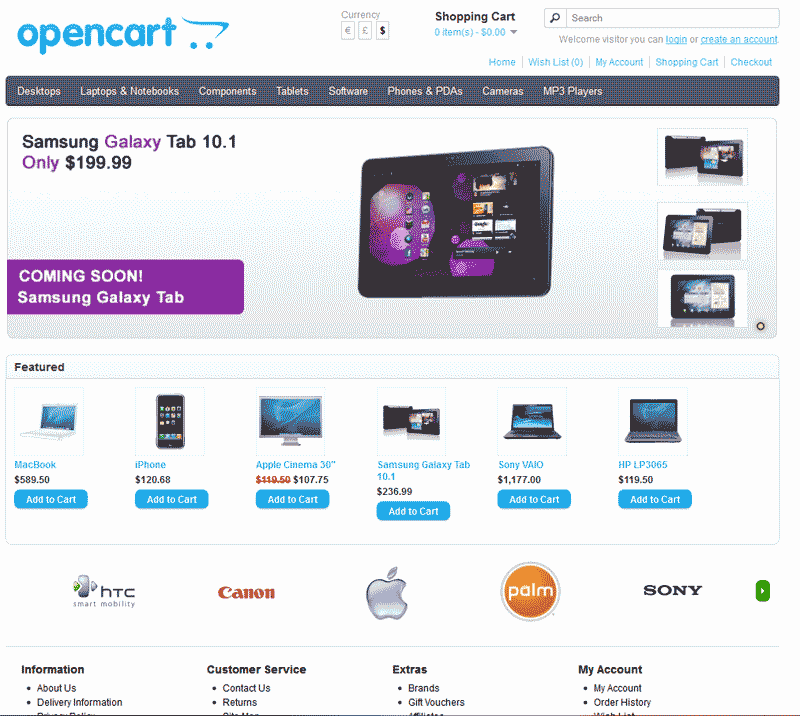 Can OpenCart be used as just a 'shopping cart'?